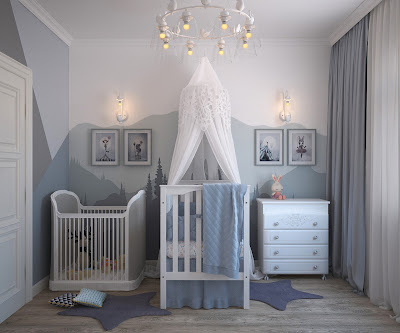 We know the decision is hard, our baby deserve good decorative painting and order in the room, not only a beautiful decoration but an easy way to play with the baby and combine the new life parents have to adapt in their routine. We have the solution to this situation and make you feel comfortable with our service and confidence in our professional hands. Black is not a happy option unless you combine the vision adding a bright color. To make a right decision explain the idea to our agents and They will know how apply and make a better environment in the room. Here in affordable interior painting are prepared to advice a customer. Our worry is always you finally end satisfied with the service. Combination is an art of decorative process. Let that part in the professional team as affordable interior painting who can tell you join colours with the comun white. Pale rose, beige, blue or brown. Grey with rose is an awesome paint. If you want to take a risk We can offer Grey/White/Yellow. An elegant and perfectly babyish in New York.